Home New Product OBS Cube MTL Kit Preview – Squaring Up! 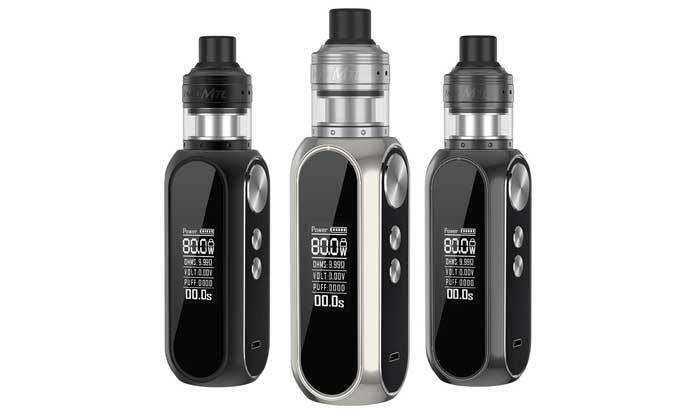 The OBS Cube MTL Kit contains two existing OBS items – but bundled together as a kit. The original OBS Cube kit had a sub ohm tank but this time the kit includes the OBS Engine MTL RTA. So as before the Cube mod is a Variable Wattage only device with an internal 3000mAh battery. The maximum output is 80W and there is an 0.96in screen. To make adjustments and operate the device there are just 3 buttons, a fire button and up/down adjustment buttons. In the kit is the Engine MTL RTA which is a Rebuildable Tank (RTA) and you do get a coil in the kit to get you started. The RTA is designed for MTL style vapers – those who like a restricted airflow, low wattage, high nic or nic salt vape. To achieve the restricted airflow you have a top airflow inlet and you can adjust the size of the inlet by rotating the top cap. The deck is for single coil higher resistance coils and the coil is mounted directly over the airflow outlet on the deck to give better flavour. The original OBS Engine RTA was very well loved and I loved the Crius 2 RTA so hopefully this little MTL version should be a little taste monster. Will you be squaring up to an OBS Cube MTL Kit? Let me know what you think in the comments below!